An initiative to reveal the many, varied and often hidden faces of the people behind the rise of Real Bread. 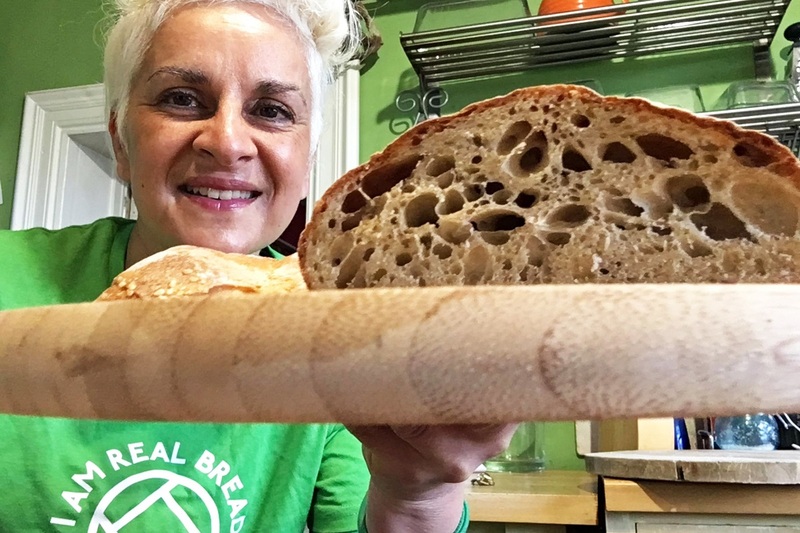 Launched at the start of Real Bread Week in February 2019, #WeAreRealBread gives these often anonymous stars a chance to shine. As well as being all-natural, one of the things that sets Real Bread apart from industrial loaf fabricators’ products is that it’s crafted by people. Our aim is that anyone who feels that 'Real Bread bakers aren’t people like me’ will see someone else who will help them to think differently and boost their belief that they too can be a brilliant bread baker. In addition to the social media element of #WeAreRealBread, the Real Bread Campaign is seeking funding for a planned project involving professional photographers to help illustrate and tell more of the smorgasbord of stories of the many people in its international network. We may be able to showcase a photo or two of yours (with your permission and appropriate credit) in places such as our website, our magazine True Loaf, our social media feeds, or perhaps when we are asked for photos of our supporters by media outlets. Beyond publishing and sharing your photos as outlined above, we would love to bring some of our favourites together, perhaps in a book or exhibition.